2015, ISSN (Online) 1869-2737, ISSN (Print) 1869-2729, de Gruyter, Berlin and New York, 88 p.
This article investigates how two lifestyle magazines aimed at young Japanese men negotiate masculinity with regard to body discourses. Although both magazines incorporate discourses of outward appearance into their constructions of masculinities and thus show how gender discourses in general have changed, they significantly differ from each other as far as the idealized man is concerned. ChokiChoki mainly deals with health care, beauty, and the overall body physique. It heavily incorporates strategies into the discursive construction of masculinity that used to be understood as distinctly female. The magazine Men’s Egg focuses on body physique and the sexual act. It tends to idealize the muscular body and links it with sexual potency, which is one of the magazine’s main aspects of proving masculinity. While Men’s Egg targets gyaru-o (from English: ‘gal’) and relies on conduct that is strongly affiliated with hegemonic masculinity, the much stronger incorporation of once exclusively female practices by ChokiChoki constructs an ideal close to the sōshokukei danshi (‘herbivorous man’). Both magazines, while reproducing mechanisms of hegemonic masculinity, semantically expand the male habitus and body language. This paper analyzes the role of the fighting women in Japanese anime near the end of the twentieth century. It argues that these female heroes are not just shōjo (‘young girls’) who represent Japan the nation, nor are they mere projections of otaku desire, or token women included to attract female fans. Rather than that, I maintain that these female heroes are what could be described as “cyborg goddesses,” who offer an escape from the present’s dilemmas. An analysis of whom and what they are saving reveals a desire to return to an idealized Japanese past, while representing contemporary predicaments and concerns about the future. These heroes embody a form of “honorific individualism” (Ikegami 1995), based on a strong sense of individuality, and they have the potential to generate change by challenging the conformist status quo. International sporting competitions, such as the upcoming 2020 Tokyo Olympic Games, adhere to a nationalistic and triumphalist paradigm in which strength, victories, and medals are judged more important than anything else. Within this paradigm, what matters most is which sporting body can subdue another. National sporting consciousnesses often reflect this paradigm, and the case of Japan offers no exception. How do international power relations within such paradigms shape sporting bodies, national sports consciousnesses, and our knowledge of them? To answer this question, this paper applies the theory of Michel Foucault to a historical study of Japanese sports. By applying Foucault’s theory of power, especially his ideas of “bio-power” and the “productive” nature of “power relations,” we can better interpret historical shifts in the way Japanese have perceived their sporting bodies over time, especially the view that the Japanese sporting bodies are unique but inferior when compared with non-Japanese sporting bodies. International power relations and perceptions of cultural inferiority weigh heavy on Japanese sporting bodies. They produce certain behaviors, such as the action of toeing the line for one’s team, especially when that team is the nation, and certain discourses, such as the narrative that Japanese sporting bodies must train together to best play together. 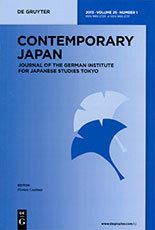 This paper examines the shifting concept of the body in contemporary Japan through the phenomenon of “co-sleeping” (soine) services. It takes as examples Kawabata Yasunari’s 1961 novel House of the Sleeping Beauties (HSB), Yoshimoto Banana’s 1989 novel Asleep, and Yamazaki Sayaka’s 2008-2010 manga Shimashima. In HSB, the male protagonist sleeps together with girls who are unconscious, knocked out by sleeping pills, and touches them. He can only realize contact with sleeping girls without face-to-face encounters, posing the reader questions such as to what extent one can share one’s corporeality with another in sleeping, what kind of intimacy, desire, and love is involved in payable co-sleeping services, and what it means to engage with the sleeping otherness. Simon Williams and Eyal Ben-Ari have examined co-sleeping as a form of intimate communication. Yet, co-sleeping is a commercial service in HSB, Asleep, and in Shimashima, where the customer pays for sharing bodily warmth and touching another’s (almost unreachable) existence. Having witnessed the recent emergence of actual co-sleeping services in Tokyo and New York, this paper aims to advance literary research on the topic of co-sleeping services and explore the emerging concept of the commercialized sleeping body in contemporary Japanese society.